Every company claims that customers are their number one priority but as always, action speaks louder than words. Fortunately, the last few years more and more companies have discovered the power of good customer care and made the phrase ‘going the extra mile’ their own. 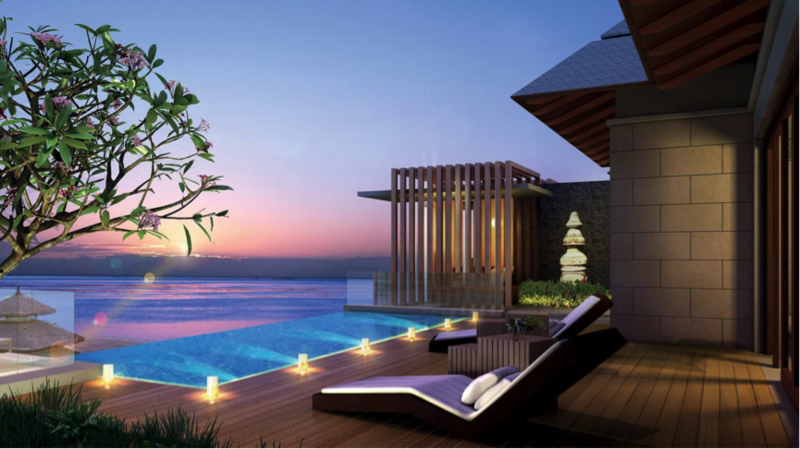 No wonder because studies have shown that customers love sharing their good experiences with friends and family. 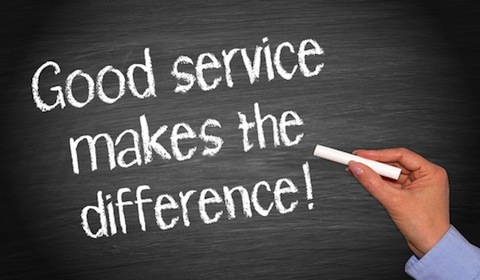 Thanks to good customer care you don’t need to tell people just how good you as your actions will do the talking for you. Each of these five cases are the result of an individual human in the organization making the difference for a customer. Sometimes that human is an employee, sometimes a manager and sometimes the CEO. 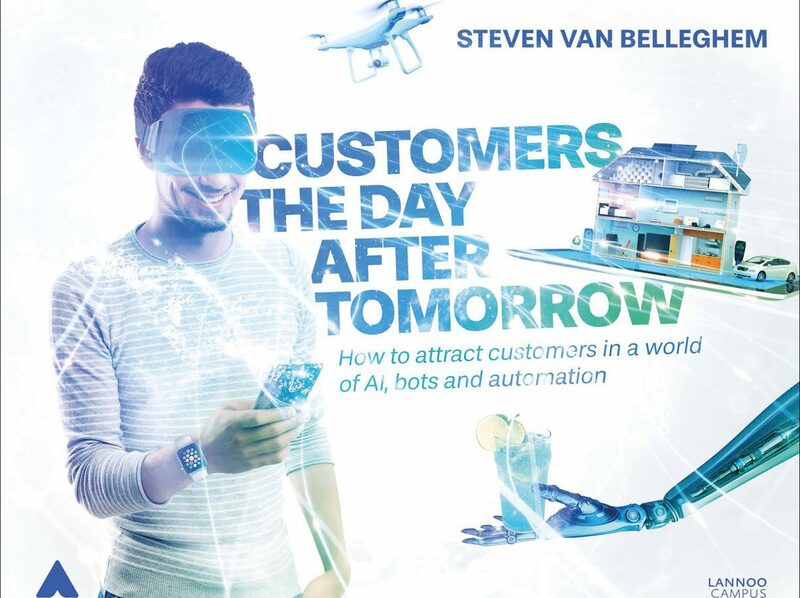 The truth is: every individual in your company has the potential to create a unique customer experience. The role of senior leadership is to create the context for people to act like unique customer service agents. 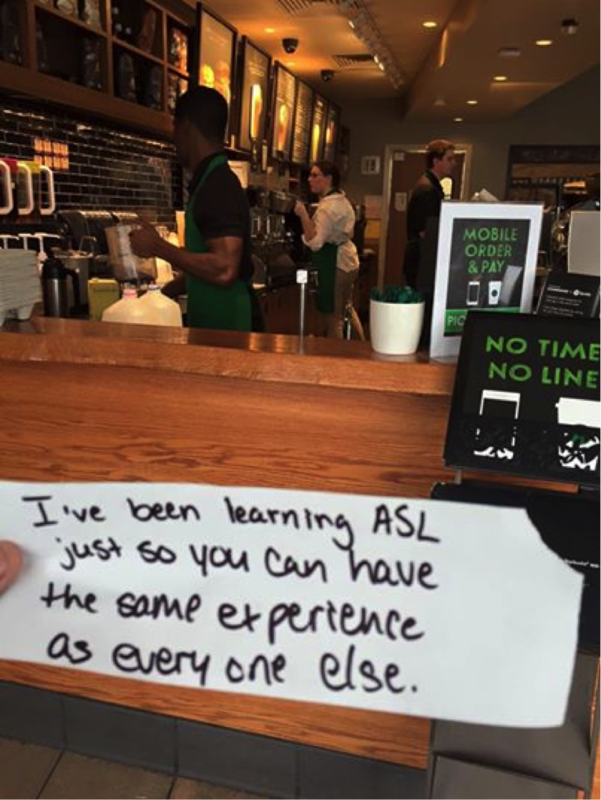 But one employee took it to the next level and made sure one of her deaf customers would receive the best customer care possible by learning sign language. The customer shared this story on his Facebook page and the rest is history. Starbucks created a ton of goodwill and became one of the most talked about brands on the internet for a couple of days. All thanks to one employee that acted of his own accord. Although the Ritz-Carlton has already established a worldwide reputation for treating guests like royalty, one manager literally went the extra mile for one of his customers. The story goes as follows: A family whose son is highly allergic to dairy was always careful to bring their own supply of specialized eggs and milk. Unfortunately, their food got ruined during their trip to the hotel and they weren’t able to find the needed items in town. However, the manager in charge remembered a store in Singapore that sold them and asked his mother to purchase and fly them by plane to the hotel located 2.5 hours away. Although No. 7 of the Ritz-Carlton services values states that “Teamwork must be used to meet the individual needs of our guests”, the manager exceeded his responsibilities by asking help from his mother. It shouldn’t be mentioned that this family in the future became a loyal client spreading the gospel of the Ritz-Carlton forever. The next story was posted by a user on Reddit and shows that it’s not always the big brands that are the thought leaders on customer experience. More than often small businesses provide some of the best customer care as a way to distinguish themselves from the competition. 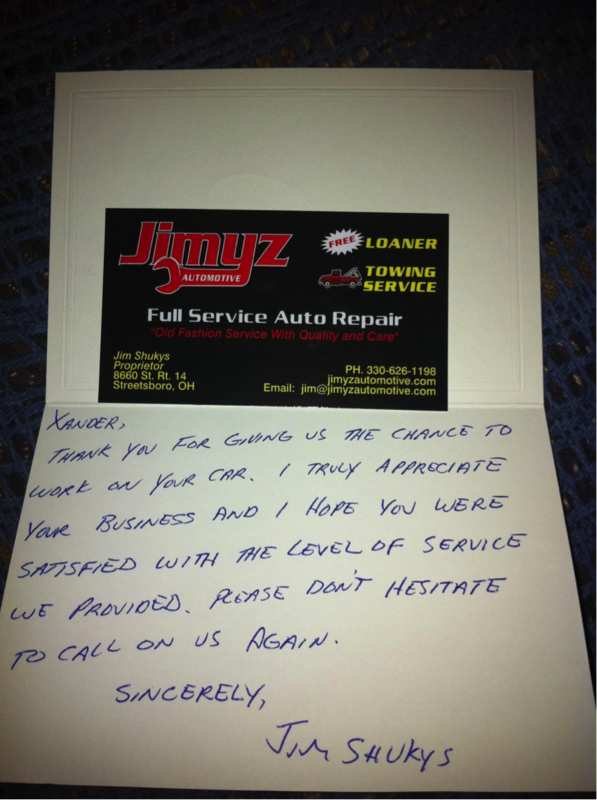 Jimyz Automotive, a small auto repair shop from Streetsboro Ohio, thanked a customer for trusting them to work on his car and made it clear with a truly genuine thank you note. But it wasn’t the note itself that caught our attention but the way the internet responded on this image. If you ever needed a confirmation that being genuinely friendly to customers works, just check out some of the comments this post received on Reddit. When Jessie Frank wanted to pick up her daughter from a five-day camp for children with diabetes in Atlanta she found herself stranded in Washington DC as a result of bad weather. And to make matters worse, the connecting flight was overbooked so she gave up all hope to reach her daughter in time. Much to her surprise a Delta Airlines agent told her a seat had become available and a flight attendant would be waiting for her at the gate. The flight attendant (who wasn’t wearing a uniform) helped her stow away her carry-on luggage and took place on the jump seat in the cockpit. 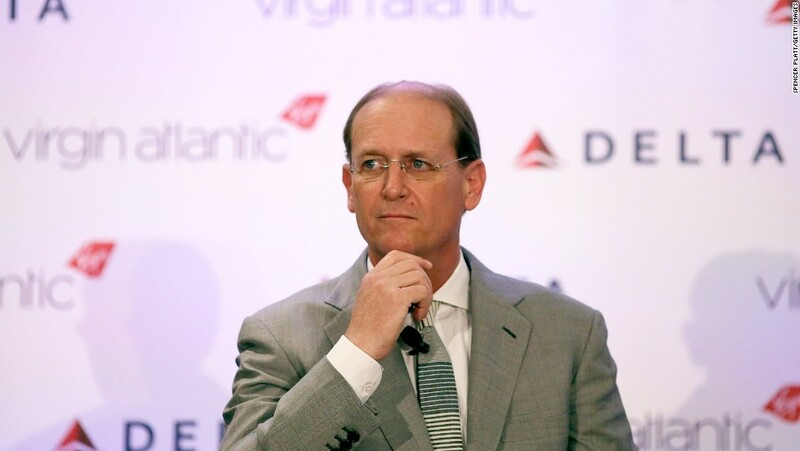 It wasn’t until the plane landed that she was made aware that the unidentified man was actually the CEO of Delta Airlines, Richard Anderson, who gave up his seat for Frank. Jessie Frank published an extensive Facebook post on the matter resulting in a big PR score for Delta Airlines. Making it crystal clear that customer care should be implemented on every level of the corporate ladder. Ever found yourself looking for a specific book in a bookstore only to be disappointed because it isn’t in stock? Unfortunately it’s a common scenario and employees usually try to solve this by offering to back-order the book for you. The B. Dalton employee in our next story had something else in mind though and was truly committed in providing the best customer experience possible. Instead of offering a back-order she called up one of the competitors and reserved the book for the customer at another bookstore. Did B. Dalton lose a sale that day? Maybe. But their commitment to the customers’ happiness resulted in a life long fan of the store. By helping out the customer with an act of selflessness it transformed B. Dalton from a regular commodity bookstore to a valuable brand that shows it truly cares about its clients.